Looking for a Tree Surgeon in Farnham, you found one!! We are an approved contractor of the Arboricultural Association. We offer free initial consultations for Tree Work and make recommendations by way of a no obligation quotation. 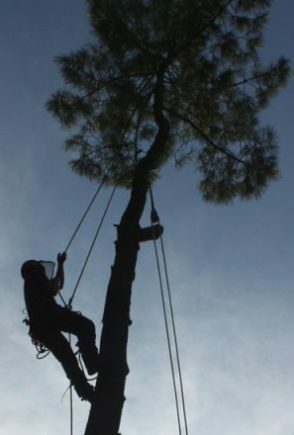 We are Professional Tree Surgeons and Tree Inspectors providing advise from up to date knowledge and experience. If planning consent is necessary for your tree works, we will submit the application on your behalf. Our staff are fully NPTC trained, motivated and have a polite and friendly disposition. Dryad provides Continuous Professional Development to all staff members. We offer complete Arboricultural Services for both Private and Domestic clients and are the ‘Recommended’ Contractors for several Local Authorities. Dryad stride to provide high-quality customer service, along with great Tree Work. We operate in Guildford Surrey, Hampshire, West Sussex and Berkshire covering other regional area and travel further afield where required. Removal of trees and vegetation from a large site. 26-inch Tractor driven Wood chipper, capable of chipping whole trees in minutes. 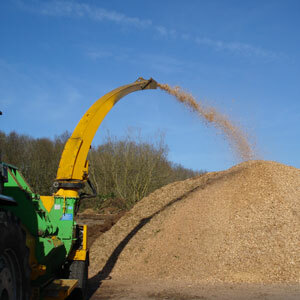 Large stump grinders for quick removal of stumps that might otherwise get in the way. Where it is not, safe nor practical to straight fell a tree, it may be climbed and felled in sections. If obstacles are below the tree, brushwood and timber will be carefully lowered down using ropes and lowering blocks. Dead wood is often present within the crown of a tree. It may be a sign of ill health, but it is also a process of natural growth. Removing it from the crown is a good way to reduce the risk of it falling, inflicting harm or damage. If a tree is becoming too large, a crown reduction is an avenue you might want to consider. Crown reductions can gain a little more light or increase a view. Removing and pruning low branches. Often carried out over roads and footpaths to allow enough height clearance for vehicles and pedestrians. It can also be an option to gain more light and increase the view underneath the tree. This is sometimes a better solution than reducing the crown of a tree. Fruit trees are usually pruned in the winter when the trees are in a dormant state. We carry out annual pruning to produce fruit, or reduce neglected trees to a size, and shape that will be easier to manage in the future. We perform all hedge related tasks from light trimming to heavy cutting back and height reduction. Each hedge will react differently depending upon the species, some will tolerate a hard degree of pruning, whilst others will not. We aim to leave you with the best-looking hedge possible. Removing the branches of a tree, promoting a dense head of foliage and branches. We usually only pollard trees have had this carried out in the past. We carry out coppicing as part of traditional woodland management. Some species of tree will take advantage of sprouting new growth from stumps following coppicing. Older trees often need a different approach to that of a younger tree. We can help guide you in the best possible direction to ensure your tree stays safe and healthy.